Shopping for Andy Warhol Plush? Kidrobot pays homage to Andy Warhol's legendary work with unique pieces highlighting his work throughout his career. Brillo boxes was an installation piece that challenge the definition of art and still does to this day. 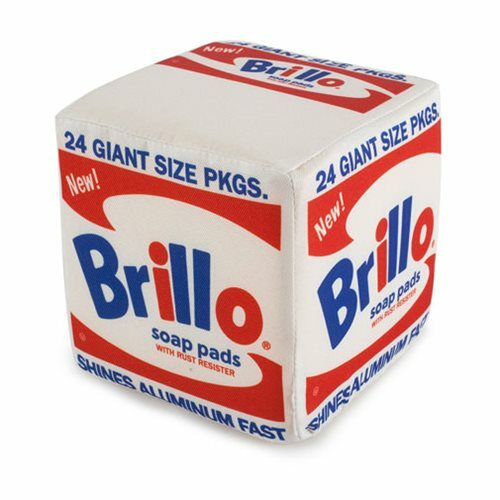 Enjoy this ordinary, yet extraordinary work with this Andy Warhol Brillo Box Medium Plush. Turn your home or office into a gallery of Warhol and enjoy the history he made right in your own room. Measures about 10-inches tall. Ages 15 and up.